In July 2016 I clocked up 13 years in my job. I celebrated by spending the weekend with 9 young adults who are not only a sensational group of committed ministry leaders but also some of the finest individuals I know. On Sunday, they stood on the stage at church and shared something of their passion for discipling youth and desire to grow in God. All of them have come up through our church’s youth ministry and are now wholly invested in the emerging generations. They are a snapshot of why I love my job so much. They represent the fruit of the thirteen years I’ve been in this role. They (& others like them) benefit from and contribute to a culture that has been God-breathed – a way of doing ministry and community that I have given my whole self to. They are a gift to the Church that will keep on giving long after I’ve gone (either from the church or ‘gone gone’). It’s hard to imagine a better way to have spent the last thirteen years. I certainly don’t regret having done so!! We spend about a third of our waking life at work. That has to cause us to consider what we’re doing with such a significant portion of our lives. Our work needs to be an endeavour worthy of such an investment. Either because our job role serves a vision or mission that positively impacts people and communities and sees other people empowered to do the same. OR because working there releases funds or time that allow us to fulfil a similar purpose. And if it’s neither of those – it should at least be fun! 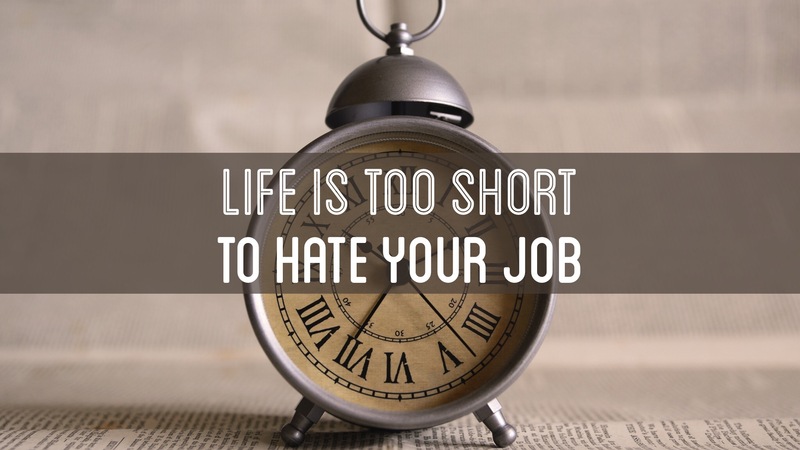 Life is far too short to hate your job. Life is too short to waste a third of it in meaningless employment or employment that inhibits you’re ability to engage your discretionary time more meaningfully. Sure there are times when we’ve just got to take the job we can to pay the bills and feed the family. There are times when we take the job we can while looking for the job we want. But we need to prioritise work that matters or that resources us to engage in other things that matter. < At least we came!